This has GOT to be one of the strangest photos I’ve ever taken. 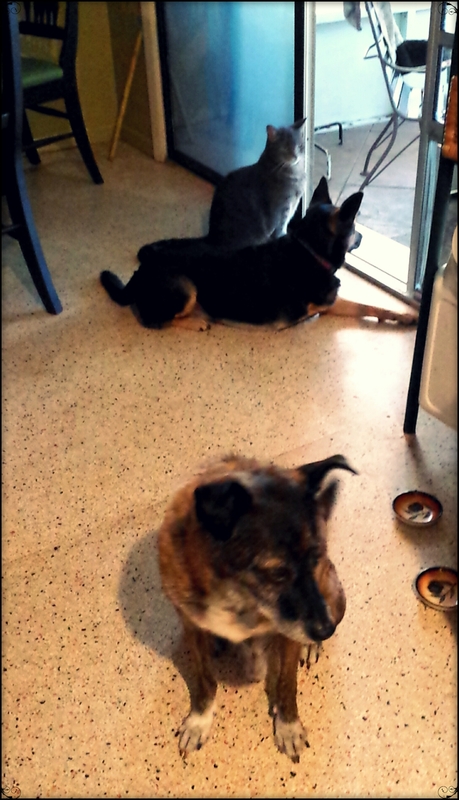 Wolfie sitting next to Anna, who is guarding the backyard, and Duke, acting like nothings wrong and waiting for food. Anna and Wolfie stayed like that for a few minutes too. I was totally shocked.